Historic Wrigley Field will host select concerts again this year. 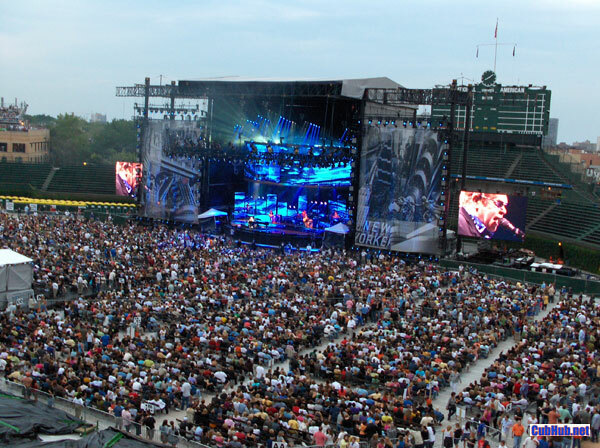 On September 17 & 18, 2010, the Wrigley Field Concert Series presents the Dave Matthews Band with Jason Mraz in concert. 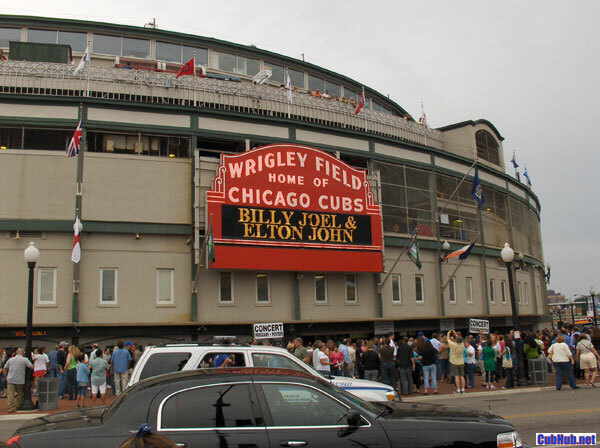 I saw one of the Billy Joel–Elton John shows at Wrigley last summer and would say it was a real experience. In a way, it was an odd clash of worlds for me, seeing a rock show in the cathedral of baseball that is Wrigley. But I would say the concert experience was a very good one, featuring good sound, good visuals with excellent stage production and giant video screens on either side of the center field stage. I’ll also say there were clearly more limousines per-capita at the Billy-Elton concert than any Cubs game I had ever seen. Really, it’s not a bad way to make it a big night – no parking hassles! Check out LimoStars for special concert deals. how much do expect DMB tickets to go for on the market. “lawn” “seats” “rooftops”? Hey ya’all if you missed tickets on this sold out concert Rockit Wrigley is giving some away!!! For those of you who are going stop by Rockit Wrigley’s PRE-PARTY $40 all you can eat and drink!! !